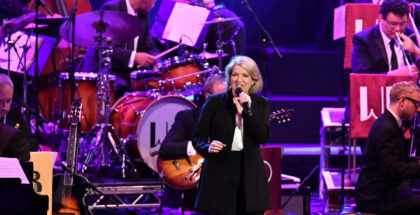 Yorkshire jazz singer Clare Teal has been hugely successful. She’s performed with artists like Jamie Cullum, Liza Minnelli and Katie Melua and had a long list of critically acclaimed albums. In 2005 and 2007 she won British Jazz singer of the year and in 2006 BBC Jazz singer of the Year. Her regular BBC Radio 2 programme can be heard on Sunday evenings at 9pm. Interviewer Anthony Weightman chatted to her in Glastonbury in the midst of a hectic touring schedule. Anthony Weightman: Clare, You’re speaking to someone with a Yorkshire surname, but without the accent, I’m afraid. Anthony Weightman: Firstly, would you like to say a few words about the performances you’re doing soon: Ipswich, Hampstead and Southwold. Clare Teal: Well, I love walking. Any chance to get out and wander round beautiful countryside, especially if it’s near the coast. I’m excited. I’m off tonight and it’s going to be good. Anthony Weightman: You’ve said you’re “never not from Yorkshire” and I can personally understand how family associations with that county never leave you. My grandfather was a Yorkshire journalist who went to Fleet Street, but his past was always with him. Do you have fond memories of your childhood there? Clare Teal: I do, yes. Funnily enough I think, had I not been bought up there, in the middle of nowhere with very little to do, I wouldn’t be doing what I do now. There were very few distractions. I found this bunch of records in the attic and that became my little world. Had I live somewhere with a lot more going on I wouldn’t have invested the time, not that I thought it would be useful at all. I invested all that time learning about big band music which, for a 7 or 8-year-old kid, was crazy. When you’re at that age things fall into your brain and stay there. So, I did a good 10 years of research. I left home at 18 to go to university. About 10 years ago I began working for the BBC on Radio 2 as their big band person. It’s weird. I never thought that kind of work would come in handy. So, I’m really glad that I came from a rural background. Anthony Weightman: There is the traditional picture of a Yorkshire person as someone who’s proud, friendly, stubborn and argumentative. Is that stereotypical image accurate, do you feel? Clare Teal: I don’t know. I’m doing a gig in two months in the village along from where I was born. In many ways, it’ll be the hardest gig I’ll do all year. I’m going to be at The Royal Albert Hall a month before which I’m not worried about in the slightest. But going home is nerve-racking. I think you have to try a bit harder. There’s a bit of “Come on, I’ve paid, now entertain me”! I like that about audiences. You can’t rest on your laurels. My mantra is you’re only as good as your last gig and you need to prove yourself every time. I enjoy going back up north where I grew up. Anthony Weightman: When you began your Radio 2 show you apparently asked yourself “Clare – why on earth do you put yourself in these terrifying situations”? Moving from one frightening experience to the next is a bit of an addiction for some people. Is that something that’s in your personality? Clare Teal: One thing I would say about the north is that the work ethic is driven into you. Both of my parents worked very hard. I was a bit late becoming a professional musician, but the thought of returning to advertising sales propels me. The thought of having to get a proper job drives me. It was terrifying when my radio show went live. For ten years I’d been pre recorded and scripted. Suddenly it was an hour longer and live. The other thing that’s terrifying is my lyrics because I can’t remember anything. I can remember 97% of everything but I never know which 97% that’s going to be. I think we need to put ourselves through the paces now and again. Anthony Weightman: You’ve said that singing with Van Morrison was wonderfully surreal and that you had to pinch yourself to confirm you really were part of his duet singing ‘Carrying A Torch’. He’s now knighted with multiple Grammy Awards and well known as a highly inspirational and critically acclaimed artist. To you, what’s his appeal? Clare Teal: I love his writing and there’s usually a Van Morrison song in my set. Cole Porter and George Gershwin were amazing, Their songs withstand any degree of reinvention and tinkering. Van is the same, coming from a blues background and very knowledgable and respectful towards big band music. I always have to be on top form when I talk to him about Woody Herman because you’re not going to come out the right end unless you’ve done your homework. I’ve enjoyed working with him and when he sings everything he does is always different. He’s a very brave and honest performer. Anthony Weightman: A reviewer once said that your version of ‘Why’ by Annie Lennox gave a softness that contrasted with a coldness in the original. Personally, I felt the original was a soulful, emotional and intelligent song with magnificent vocals. Can you understand why a reviewer might say that? Clare Teal: No, but I think it’s a nice review. I’m not going to complain [laughs]. As a singer you hope to reach out to people and sometimes you will and sometimes you won’t. It proves the point, really. It’s alright to take different things from music. Depending on what day you hear something, you react differently every time. It takes a long time to learn how to do this, but I try to pick material where I feel I have something to say. I can develop it or take it in a slightly different direction. I try to stay away from the obvious song that I love and want to sing, because that’s not always the best song for you to sing. It might be the song you love to listen to, but not necessarily the best song to interpret. Anthony Weightman: You say you’ve always “struggled to appreciate the considerable works of Leonard Cohen”. He has a reputation for being an elusive, enigmatic and mysterious personality and I personally hesitated with wording when writing something for his 80th birthday celebrations last year. What do you think the problem might be here? Clare Teal: The things I enjoy listening to are completely not from that era. I’m rooted to the 20s, 30s, 40s and 50s. As a singer I get very switched on by vocals. With people like Bob Dylan, Joni Mitchell and Leonard Cohen, sometimes I need another singer to sing the songs to show me how great they are. Anthony Weightman: You’ve said that one of your favourite writers is Paul Simon, but for some reason you can’t sing his songs, just listen to them. Do you have an explanation? Clare Teal: Yes, that’s right. In my experience, when I’ve tried, that is a writer who I think is strongly connected to his own material. Maybe he is the guy who should sing his stuff. Anthony Weightman: You’ve said that you’re flattered but exasperated when critics compare you to Ella Fitzgerald, because you feel you’re nothing like her. I suppose there are similarities. You both have timeless, flexible and wide-ranging voices. Presumably you feel strongly that there are limitations to that comparison. Clare Teal: I do. In my mind she’s the greatest singer ever. Interestingly, as I get older, I listen to her in a different way. I try to collect as many of the live recordings as I can. When I’m put on a poster as singing her songs I try to do as much homework as possible. I so enjoy singing her arrangements and working with an orchestra. I’ll never be able to touch her. In some ways I can recreate what she sang but I couldn’t have originated that performance. That’s why she was so amazing. Anthony Weightman: You’ve said that “if a song is built well, it can withstand any amount of interpretation and tinkering”. At the last count George Gershwin’s ‘Summertime’, for example, which merges jazz with other southern states styles, has actually been recorded a huge 25,000 times and covered 33,000 times. So, can we assume it’s possible to go on indefinitely with a classic like this? Clare Teal: I think so. There are reasons why these older songs work. I’m sometimes surprised by the response in the age group of the audience. People remember a song the first time round or because their parents played it. Or, quite by chance they’re naturally drawn to it. Between the 20s and 50s there was a real style that is still relevant and sophisticated and people lock into it. I would imagine this body of work will definitely be reinvented for hundreds of years. Anthony Weightman: I know you admire people who have an open-minded attitude towards music, but how do you cope with people who just don’t like jazz? Some say it’s aloof, self-indulgent, intimidating or a discordant noise they feel they can’t relate to. How do you feel about criticisms like that? Clare Teal: I always go back to the fact that music’s subjective. If you don’t like it that’s just fine. There’s plenty of music out there. What I do object to is people pigeon holing music. The “jazz albatross”, as I call it. It’s a four letter word. So much jazz has nothing to do with those words and descriptions. I don’t have a problem with people not enjoying certain types of music, but when they label it and they’ve no idea what they’re labelling, that irritates me. Anthony Weightman: You once said you “offended the jazz police” and were “accused of crossing over to the dark side”. I’m fascinated. Is there an interesting story behind these comments? Clare Teal: Well, any niche market music is celebrated in its obscurity sometimes. Any attempt to cross over to something more commercial can often be criticised. My love of jazz was when jazz was pop. The swing era from 1935 to 1946 was pop. That was the music of the day that everybody chose to listen to on the radio. So, I’m a great fan of pop music. It might be from 1997 or 1952, but I don’t shy away from commercialism. If a song does extremely well it’s usually because the majority of people love it. There’s nothing wrong with that. Anthony Weightman: I was interested in your remarks that you don’t take too seriously reviews from the press, whether they’re good or bad. Because of the unpredictable nature of the music business, with fashions changing and careers unexpectedly coming to an end, I suppose that attitude tends to strengthen a musician against possible shocks in the future. 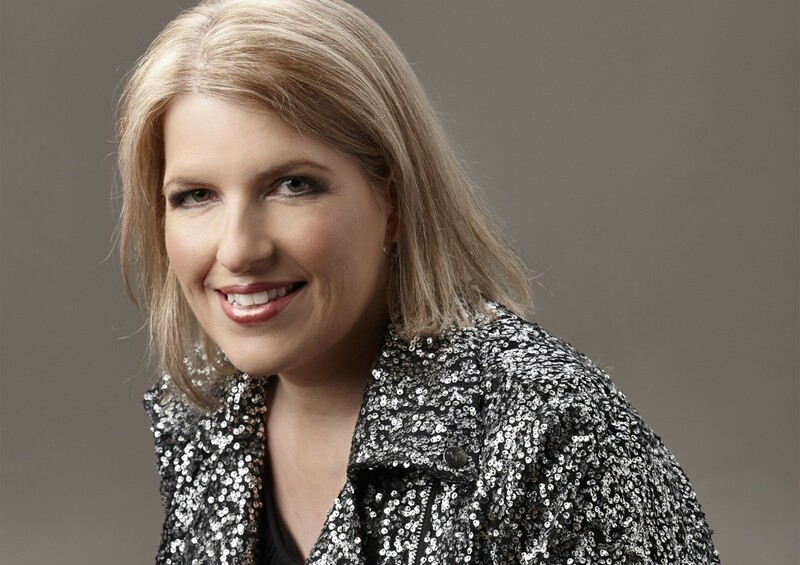 Clare Teal: I don’t really know what the pop world is like. From what I’ve seen it can be very short-lived. If you’re a jazz or blues or folk or country singer your life is on the road. We’re lucky. You can always work provided you’re good at what you do. You can build on that. I’ve been signed to major labels in the past and there’s an unspoken pressure. You’re not selling enough or good enough or there’s something else that’s wrong. I’ve never been happier than when I came out of contract. I love it. I’m lucky because I’ve had the benefit of working with some brilliant people. I’ve built a platform with an audience that I can quite easily reach. I can record when I want to and do what I want to. That’s the best thing that could have happened to me. That’s the way I feel most comfortable. Anthony Weightman: You say you have the northern work ethic and that if you work hard enough you’re going to be in the right place at the right time at least some of the time. But, am I correct that, although you constantly seek different musical experiences, you don’t have specific ambitions? Clare Teal: Not really. I’m sometimes grateful for that. All my heroes are no longer with us. Part of me says that if they were I’d be terrified. I couldn’t sing with Ella. I’d just want to stand in a room and watch. Sometimes it’s quite nice to not have those possibilities happen. Anthony Weightman: You quote Doris Day’s philosophy: “I love to laugh. It’s the only way to live. Enjoy each day – it’s not coming back again”! Is that your philosophy too? 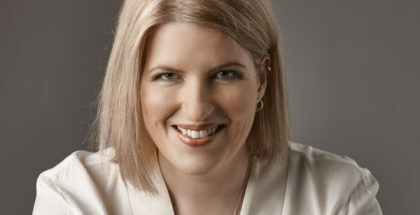 Clare Teal: Yes, I think so. In this industry I’ve seen people get very bitter. If you expect things to happen you’re always going to be very disappointed. I try to enjoy what’s happening. If opportunities are not happening then you have to go out there and make them happen and not worry about it if it doesn’t. Nice questions! Thank you.